Hello everybody! I am here with a quick little inspirational post for you guys, because in my opinion, every reason to dress up is a good one, especially when there are sequins involved. The reason I am talking about is the nothing less than the Film Festival of Ostend (FFO), that takes place from the 9th of September until the 17th of September. Yesterday, the Festival officially opened, and this year's edition is extra special, as it is the tenth time this Film Festival takes place! Everyone who even slightly knows me, knows that I am basically a magpie in disguise. I love everything shiny, sequined and blinged-out, and like I said, I will take every excuse for me to go all out with the bling. Because the FFO focuses on the Belgian/Flemish cinema scene, I wanted to incorporate some of my favourite Belgian brands into the mix. Remember, y'all, there's no place like home, and some times you don't need to go far to find something good. With brand like O'ren, Filles à Papa and Tutu Chic, you're set for the most ab fab premiere you have ever seen. 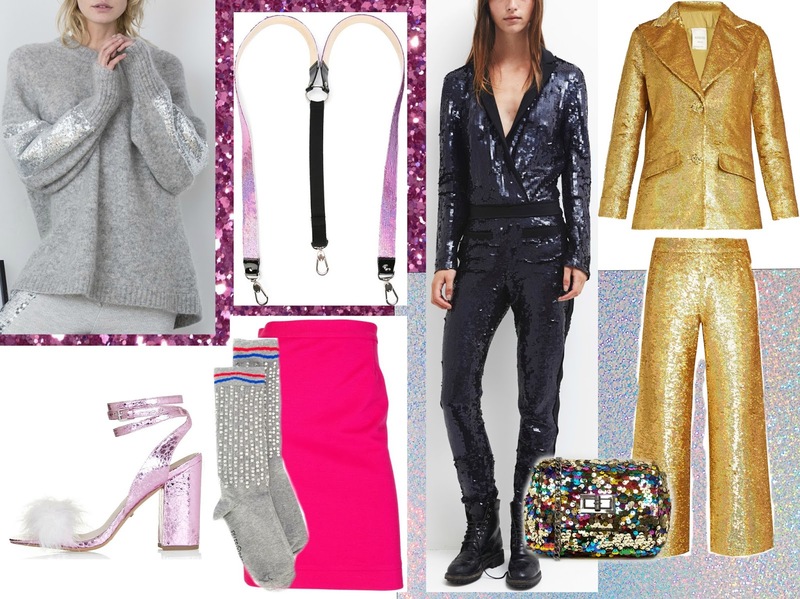 Of course, when talking sequins, I couldn't possibly not mention Ashish, the sequin label to rule all sequin labels. Over all, I think I can surely get some inspiration from this moodboard, and I'll keep you guys updated on what I'm wearing. Are you guys going to the FFO? Or are you just very excited to see Ab Fab, the Movie? Let me know down below! Happy movie nights, and thank you for reading!